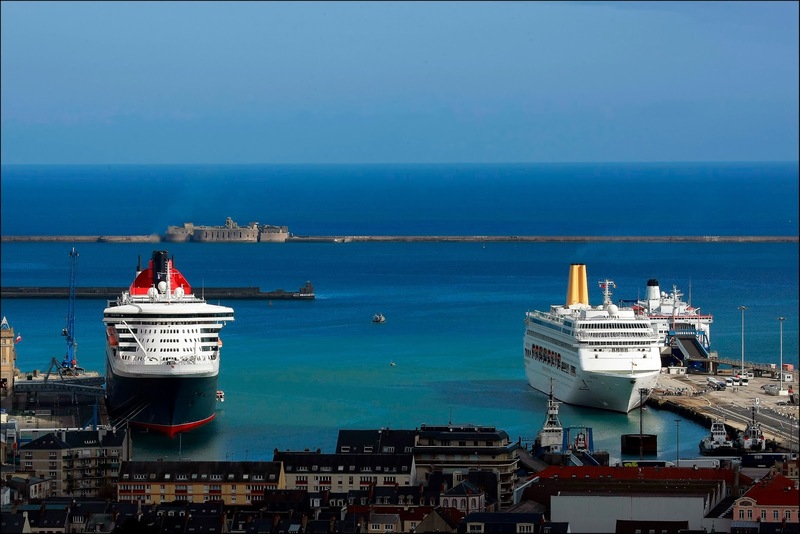 The 2014 Cruise season in Cherbourg promises to be highly dynamic and eventfull with its 31 calls already planned, totalizing over 50 000 passengers. This year, we will be very lucky to welcome six inaugural calls. The main one will no doubt be the ' AZUKA II ' from the Japanese Company Azuka Cruises. She will call at Cherbourg on April 30, during her yearly world cruise. Another major event will be the return of famous Cunard Line in Cherbourg. 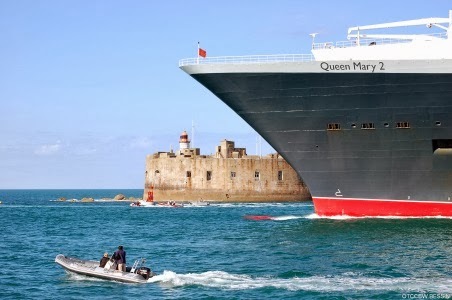 ‘QUEEN MARY 2' will call twice, on the 7th of September and the 7th of October. ‘Queen Victoria ' will visit us on June 21. The 70th Anniversary of the Normandy Landings will also take place in 2014. Numerous calls are planned in June because of the many commemorative events that will take place. Last but not least, Cherbourg will reinforce its positioning as major turnaround port with no less than four embarkation dates! Three calls are planned with Italian Company Costa Cruises on June 14, September 8 and 9, and one on the ‘QUEEN MARY II’ on the 7th of October for a very mythic transatlantic voyage to New York. Thank you Cherbourg. Had a lovely day on Sunday 7th September. Your send off to the QM2 was fabulous and very heart warming.